Per recent studies, creating energy efficient spaces is even more successful if its occupants are inspired by the natural elements and features. At RCA, during the course of designing a sustainable building, we ensure to include elements where employees have contact with nature. With the aid of technology, design has evolved in function and style in terms of modernity, quality of materials, and patterns that can provide a building with an iconic and outstanding look. These evolvements are vital for “going green”, encouraging an ecologically conscious mind-set. 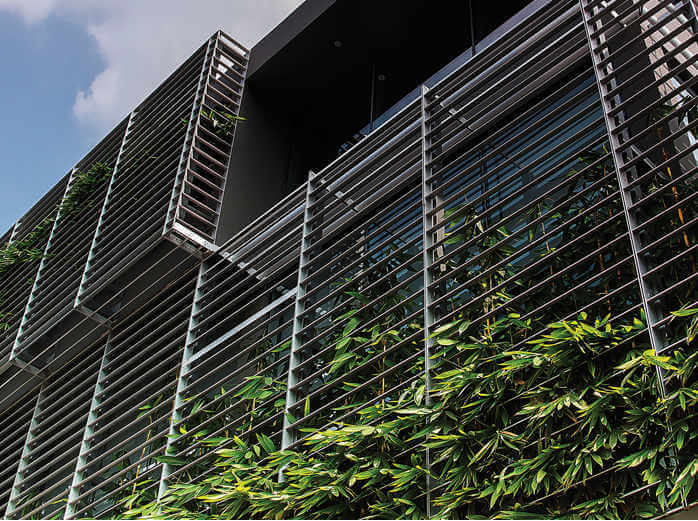 LEED rated or just green buildings, RCA’s designs are all environmentally conscious, combining biophilic elements in order to achieve lasting sustainability. The built environment uses less energy, while simultaneously energizing people and combatting stress within the workspace.